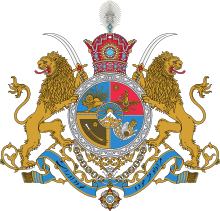 "Juistice He [God] bids me do, as He will judge me"
The Pahlavi dynasty (Persie: دودمان پهلوی‎) wis the rulin hoose o Iran frae 1925 till 1979, when the monarchy wis owerthrown an abolished as a result o the Iranian Revolution. 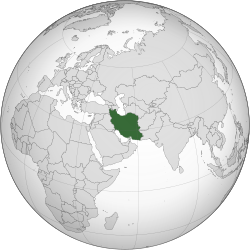 ↑ "Iranian Empire (Pahlavi dynasty): Imperial standards". Retrieved 2012-10-06. This page wis last eeditit on 6 October 2017, at 21:07.